For many people, canoeing is just part of a relaxing weekend at a lake, with some fishing thrown in… or maybe a bunch of kids at camp piled into a couple boats and raced each other across the lake. But paddling has much more potential than that. Just about everybody can paddle a boat, just like nearly anyone can drive a car. With some training and a little grit, you can race both! Paddling is a great way to experience the outdoors, and being out on the water brings a unique view to the world around us. Your busy town doesn’t look so big when the river carries you by it in minutes. Many people don’t realize the natural wonders just a few miles from our front doors. Sure, in today’s modernized society, we’ve all traveled hundreds of miles from home, but those miles were traveled on highways of concrete. Have you ever covered miles on the watery highways of our rivers? You don’t need to visit faraway places to get away from your busy life. Reach out to your local canoeing association, or start your own, and experience a whole new perspective in your own area. With that in mind, if you’re looking for a paddle-sport challenge, look no further. Two events coming up June 16-17 will take place on the West Branch Susquehanna River, an identified water trail Journey that passes through communities located in the I-80 Frontier Landscape of the Pennsylvania Wilds. Are you interested in testing your skill and speed against some of the best paddlers in Pennsylvania? The Keystone Challenge is a fast-paced, dynamic, and challenging canoe/kayak/stand-up paddleboard (SUP) event consisting of a 15-mile relay/race and a 29-mile marathon. The 15-mile course is used for either a 3-leg relay or a non-stop 15-mile race, both starting at the boat launch in Lock Haven. The relay event is divided into 3-, 8- and 6-mile legs. Your speed and endurance will be tested when the gun signals the start of the race. After a loop around the island, your agility is tested with a short portage (overland run) around the dam to the river below. The first relay leg ends here and your team members take over for the next leg. Here is where things get interesting: faster water and different water channels make reading the river important for optimum speed. It is important to be able to quickly read currents and water level, while drafting the boat ahead of you to save energy. The last leg of the relay begins at the boat launch on Old Riverview Road in McElhattan. Both events end at the Jersey Shore Boat Access at the Route 44 Bridge. The 29-mile marathon event is designed for more experienced paddlers who are preparing for an even longer race. For example, some competitors are preparing for the 120-mile Ausable River Marathon, the 90-mile Adirondack Challenge and other ultra-endurance events. This two-day marathon begins with a 12-mile course that begins with an upstream start at McElhattan, turns around at the Route 220 bridge and finishes in Jersey Shore. Day two is 17 miles in length and starts at Lock Haven at the same location as the 15-mile race/relay event. The extra length for the marathon race is accomplished by paddling upstream further than the relay event. On the same weekend, the long-running Tiadaghton Elm Classic Canoe and Kayak Classic is held. This year, participants will celebrate its 54th year. The highlight of this long-standing event is the 5-mile professional two-person canoe, one-person canoe and kayak races. Racers compete for prize money and the format allows for competition in both the two-person and one-person canoe events. The canoes and kayaks are made from lightweight carbon fiber materials and are optimized for speed. Racers from a five-state area travel for a chance to compete at this professional level and provides an exciting venue for regular paddlers and those interested in a higher level of competition. Categories for more traditional canoes and kayaks are also offered. Whatever your ability and type of canoe or kayak, there is a category to allow for fair competition for all. So, get out there and live a little on the water, likely just a few paces from your backyard (and consider a paddle race!). 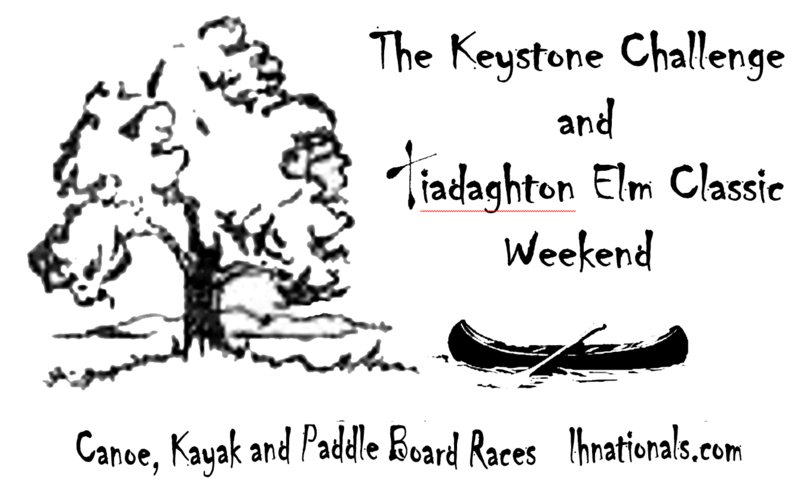 To learn more about the Keystone Challenge or Tiadaghton Elm Canoe and Kayak Classic races, visit www.lhnationals.com. The Tiadaghton Elm Canoe and Kayak Classic began in 1963. In 1999, Amy and Jeff Rankinen began serving as race directors after taking over for Norm Ludwig. The professional classes have become the largest event of its kind in the East Coast. 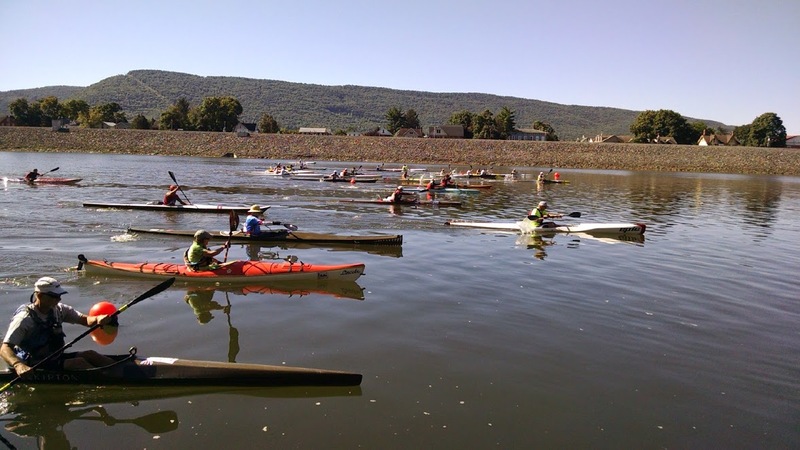 The longer-distance Keystone Challenge, the longest paddle race in PA, was created in 2012 for a senior class project by their son, Joey Rankinen. In 2015, the two races were first held on the same weekend. The paddle races are a Host Site Event in the Wilds Cooperative of Pennsylvania (WCO), one of rural Pennsylvania’s largest networks of creative entrepreneurs and place-based events.